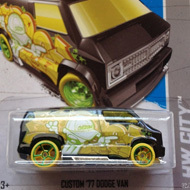 19/250 is part of the HW City series and the 2013 Treasure Hunt set. 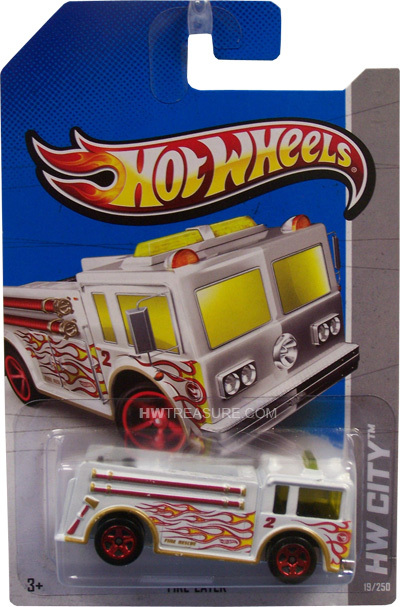 The white fire truck boasts red & gold graphics and trim, red & yellow flames, “2”, “Fire Rescue”, and the low production symbol. It has yellow tinted windows, red chrome 5-spoke wheels, and a chrome plastic Malaysia base. This old casting made its debut in the 1977 Flying Colors series. 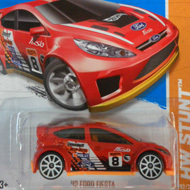 This is its second appearance as a T-Hunt and was previously in the 2009 set.